This pictures touches my heart and memory. 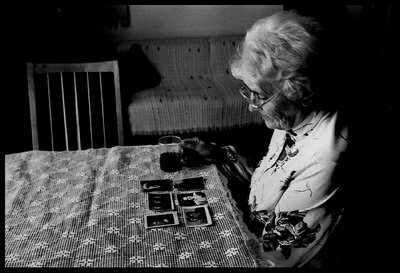 I love the focus on her old photographs. This one goes to my favorites. Un bianco e nero drammatico perfetto per la scena. Da applausi. Nice one. Very fitting for the project.